13 Oct Winner Public Outreach Award 2017! 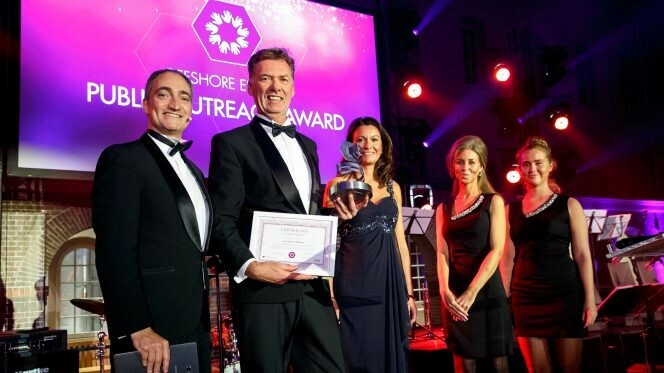 Our Oceans Challenge has been awarded the Offshore Energy Public Outreach Award 2017 at yesterday’s Opening Gala Dinner of the Offshore Energy Exhibition & Conference (OEEC). This prize is a great recognition to all the hard work the team in collaboration with Ocean Experts of various offshore related companies have put in organizing the past cycle. The OOC team would like to thank all who contributed to this successful cycle and invites you to participate in the next cycle starting in 2018 and join us in our continuous efforts towards an even more sustainable offshore industry. And never forget: Safety First, Sustainability Too!